We went to Melissa’s in Banff tonight for supper – it’s been ages since I’ve eaten there. We were in desperate need of a mountain hug and our feet found our way to this place to eat. 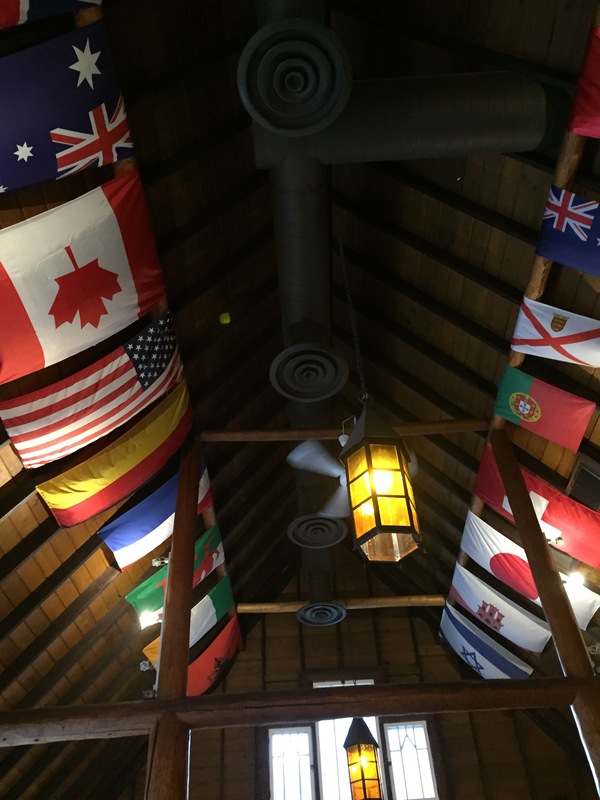 We played our own version of fun with flags and quizzed each other on the flags that were hanging on the ceiling at the restaurant. The meal was yummy and after having taken a 3 week sugar break I ate an insane amount of fudge brownie dessert – because life is short. I love these kind of moments, where happiness just is. Family together in a beautiful place.